Home » » Policemen On Godwin Abraham's Convoy Beat Owoidighe Ekpoattai Family Members. Policemen On Godwin Abraham's Convoy Beat Owoidighe Ekpoattai Family Members. Police officers attached to the Chief Judge of Akwa Ibom State, Godwin Abraham, allegedly assaulted family members of a federal lawmaker from the state for “not giving way” to the speeding cars on the judge’s convoy. The lawmaker, Owoidighe Ekpoattai, who represents Eket Federal Constituency, Akwa Ibom State, in the House of Representatives, was not involved in the incident. She was in Abuja. At least, two of her relatives sustained bruises from the incident which happened around 6:30 p.m. on March 8 in Uyo. Andrew Godwin, a relative of Mrs Ekpoattai, who narrated what happened, said he was driving a Nissan car along Oron Road, Mbiabong area, where he had gone to buy diesel for a power generating set and was heading back home when he heard a siren blaring behind. There were two other persons – a young man and a lady – seated at the back of the car, this newspaper learnt. “We saw a convoy coming behind us with siren, vehicles were much on the road, you know how the timber market area is. So, we created space on the road for the convoy to pass. The next thing, I saw a koboko (horsewhip) from the Hilux in the convoy struck me on my face,” Mr Godwin, a 22-year-old engineering student of University of Uyo told PREMIUM TIMES on the night of the incident. The Ekpoattais live in Shelter Afrique Estate, Uyo, a few killometres from where Mr Godwin was allegedly struck with horsewhip. Mr Godwin told PREMIUM TIMES that when he noticed the convoy make a turn into the estate, he and the other fellows inside the car decided to follow them to inquire what their offence was. The convoy stopped in front of the chief judge’s residence in the estate. “When the convoy stopped in the estate, I came out from the car and asked the policeman ‘Oga, why did you flog me like that?’ The man slapped me immediately. I fell down on the ground. He kicked me and used his gun to hit me. I ran into the bush, and from there ran to our house,” Mr Godwin said. The chief judge witnessed the incident, PREMIUM TIMES learnt. Mr Godwin ran to their house and alerted the lawmaker’s husband, Ime Ekpoattai. Mr Ekpoattai, a former commissioner in the state, hurriedly went to the scene. But his presence didn’t prevent the police officers from further molestation of his family members, it appears; his personal driver who came along with him was also beaten up by the police officers. The driver, Jimmy Effiong, showed PREMIUM TIMES the bruises on his body. He said the police officers took on him and hit him with the butts of their guns when he protested the harassment of Mr Ekpoattai. The driver said the policemen wanted to throw him into their pick-up truck, but he resisted; and that, at that point, they tried to frame him up as being in possession of a machete. He said one of the police officers tried to stab him with a dagger. Mrs Ekpoattai’s niece, who was present at the scene of the incident, said the police officers beat her in front of the chief judge, pulled the wig off her head, set fire on it, and also smashed her cell phone. As the incident was going on, the lawmaker, Mrs. Ekpoattai, reached the chief judge on phone to complain about the assault on her family, this paper learnt. But that too didn’t help the situation, as the police officers went further to deflate the tyres of the family’s car that was parked near the chief judge’s residence. The lawmaker’s relatives, including her husband and daughter, were then taken to the police station within the estate. At the police state, the divisional police officer tried to broker peace between the lawmaker’s relatives and the police officers. Nsidibe Essien, the personal assistant to the chief judge, confirmed that the lawmaker spoke with the chief judge on phone, but said he wasn’t privy to the conversation. Mrs Ekpoattai and her husband declined comment when PREMIUM TIMES contacted them. The judge’s aide, Mr Essien, said the action of the four police officers attached to the judge cannot be faulted in any way. “You have to understand the volatile situation of our security at this moment. If you see a convoy coming, blowing siren, you need to step aside and let them go their way,” Mr Essien told PREMIUM TIMES. “If you do otherwise, you could be mistaken for an armed robber or anything”. 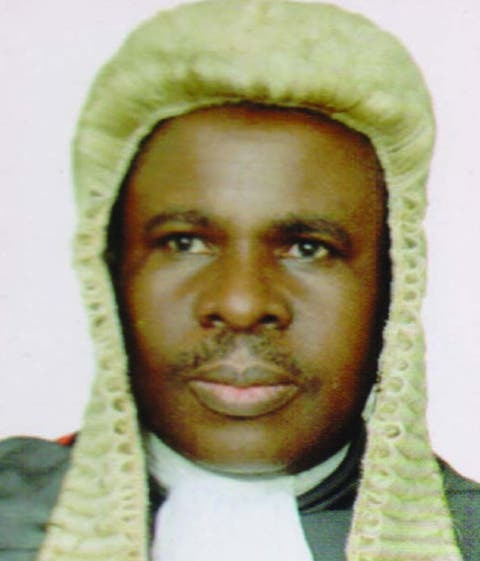 He said the relative of the federal lawmaker was “driving gently” and thereby “obstructing” the chief judge’s convoy. He said it was also wrong for “them” to “trail” the chief judge’s convoy to the house. Mr Essien said the law permits the chief judge to use siren which, according to him, the lawmaker’s relatives ought to have respected and “stepped aside” for the convoy to pass. When PREMIUM TIMES contacted the police spokesperson in the state, Odiko MacDon, he said the chief judge wasn’t among public officials permitted by law to use siren.